Free and open to the public for all ages. The festival will be streamed live. Tune in here! Hosted by Kevin Kissinger and Shane Morris, the KC Regional electro-music.com festival encompasses all styles of electronic music, DIY instruments, performances, collaborations, and demonstrations. 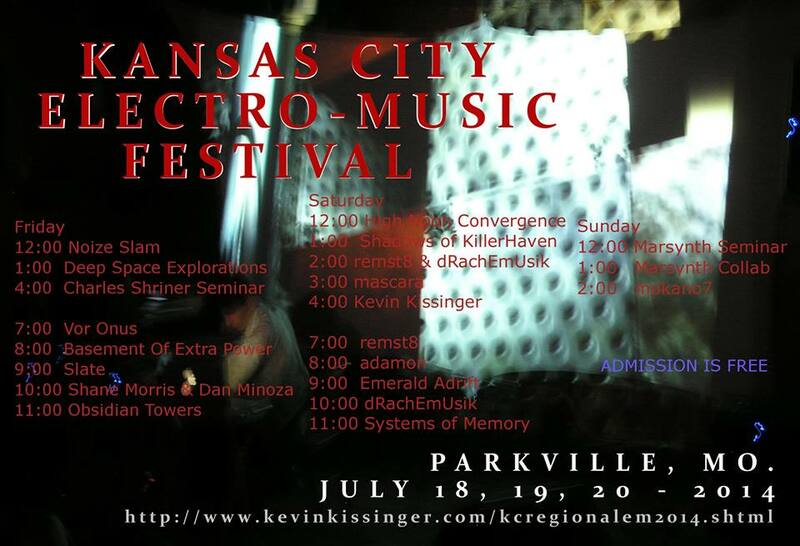 The KC Regional formed from the increasing need for a live performance outlet for experimental electronic music in the mid-western states. The festival is not limited to participants in the region alone, but does seek to consolidate and network with artists in the extended area. The intention is to create a cooperative community where artists and enthusiasts participate and benefit together. Hosting both stereo and 5.1 surround sound, the Walnut Creek Clubhouse is a wonderful setting just of the Missouri River with the KC skyline on the horizon. The venue has large vaulted wooden ceilings, wonderful lighting, comfy couches, and great acoustics. Live improvisations by Faux Pas Quartet. Recorded music by Damon Mar and remst8. Live improvisations by Faux Pas Quartet. Recorded music by Duet for Theremin and Lap Steel, Joo Won Park and dRachEmUsiK; Side Dish Side Affect. Live improvisations by Faux Pas Quartet. 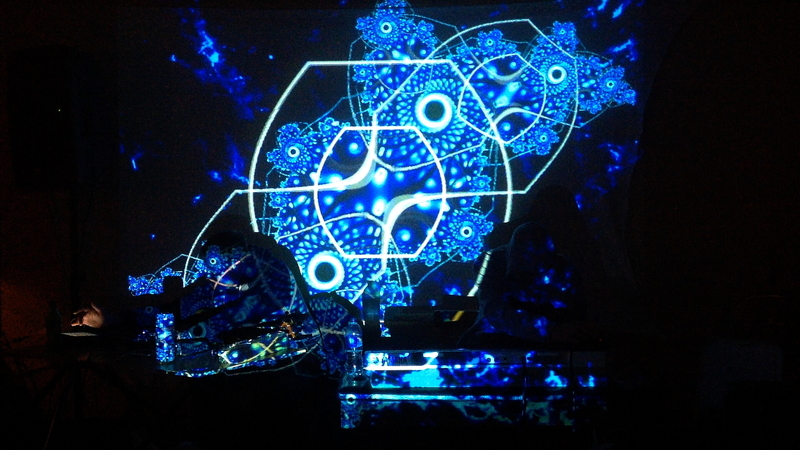 Recorded music by Antimon, PHOBos & Blue Hell. Featuring the release Anitmon’s Window. Live improvisations by Faux Pas Quartet. Recorded music by Kevin Kissinger, Jeff Wojo, jmtta and John Boyle.